Denver in a day can be done! Denver is a hot topic these days. Not only is the city booming thanks to a certain legalized substance and a plethora of tech jobs, but millennials are moving and visiting in droves for easy access to the mountains, a supreme work-life balance, and 300+ days of sun a year. Conveniently located in between both coasts, it’s a great city stopover for a quick weekend escape. Denver in a day can be done! If you only have one day to explore, here’s how to do Denver right and ensure you tackle all the signature Mile High experiences. 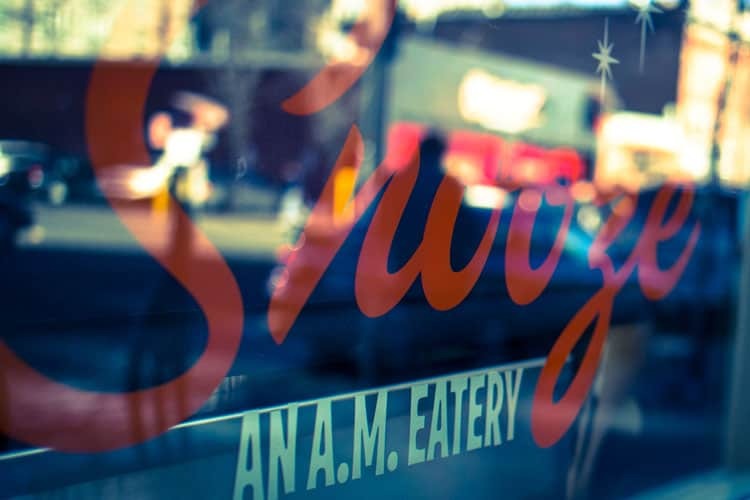 Fuel Up: Snooze, an A.M. Eatery is Denver’s most popular brunch spot with outposts all around town. Visitors have a love-hate relationship with the local chain because no matter when you go, there’s inevitably going to be a wait upwards of an hour. If you can withstand the crowds before the hangries set in, opt for the pancake flight (they have a rotating selection of flavors like pineapple upside down cake, blueberry Danish, and lemon poppyseed), a mix-and-match bene duo or a DIY hash. Play: Most people come to Denver for easy access to the Rocky Mountains, and there’s no quicker way to get there than Mount Evans Scenic Byway. The highest paved road in North America, Mount Evans is playfully referred to as the “Road into the Sky” because you can drive almost the entire way to the summit. Once above tree line, you’ll be greeted by sweeping views at 14,000+ feet plus mountain goats and bighorn sheep aplenty. Spend the morning hiking or biking, but be prepared, the altitude is no joke. Pit Stop: When your stomach starts rumbling, get a taste of Denver’s growing food hall scene by eating your way around the world at AVANTI Food & Beverage. 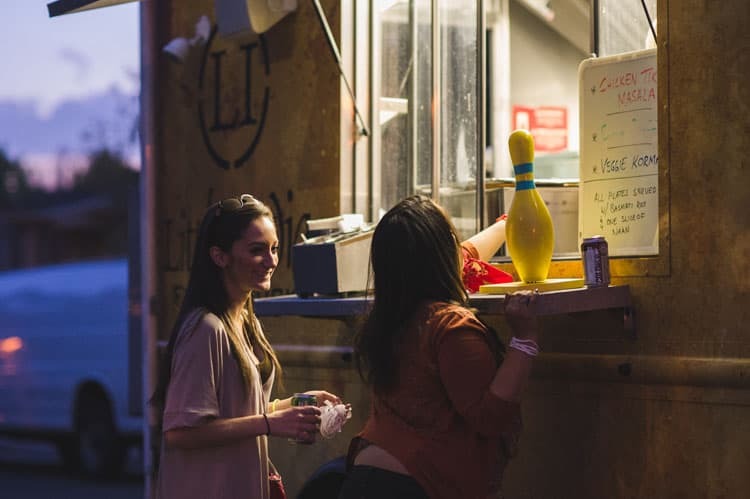 Located in the trendy LoHi neighborhood, AVANTI is a culinary collective for food trucks and new ventures to test their concept with short-term leases before committing to a full brick and mortar location. The tenants change every so often, but the killer ambiance and rooftop patio are there to stay. 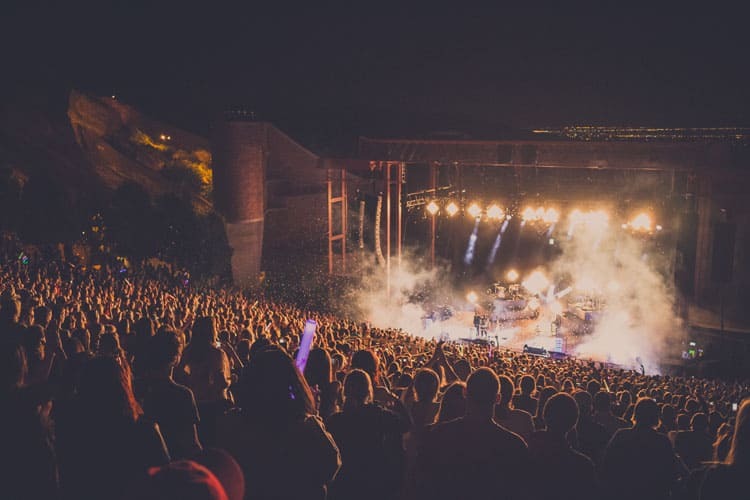 Play Some More: The music scene is huge in Colorado, and Red Rocks is one of the most renowned venues anywhere. The most acoustically perfect outdoor amphitheater in the world, catch a concert if you can or at least head out to the area to explore. There are plenty of hiking trails in the vicinity, along with special events all summer long like film on the rocks (showing all the cult classics), yoga on the rocks (to find your zen), and fitness on the rocks (because everyone in Colorado is outdoorsy). Get Some Noms: Fresh, local and seasonal are major buzzwords here, and you’ll find small shared plates just about everywhere. Linger just happens to be one of the OGs and certainly one of the most unique. The kitschy restaurant bills itself as an eatuary since it opened in the space of a former mortuary. They proudly state that they use the same tables and offer menus in the shape of body tags. Weird? Sure, but the international cuisine is no joke. Head up to the patio at sunset – it’s one of the best views in Denver, and the bar consists of an old VW van. Cheers to a Great Adventure: Named one of the 50 best bars in the world, Williams & Graham is Denver’s finest speakeasy, and to find the place, you’ll be escorted through a bookshelf. The cocktail list is a full on binder so if you have trouble deciding on a nightcap, let Sean Kenyon, “American Bartender of the Year” (2014) steer you in the right direction. Hint: there is no wrong direction. Thanks, Lauren! I’ve only spent a little bit time in Colorado and I’ve never been to Denver, I need to change that! Lauren Monitz is a travel and food blogger at The Down Lo and is based in Denver, Colorado. She is on a mission to see all 50 states and at least 50 countries before 50. She describes her travel style as actively experiential and became a Certified Viking in Iceland, hopped around Thailand Hangover 2 style and ate her way across Japan. You can find her on Facebook, Twitter, Instagram, Google+ and Pinterest. How about you? 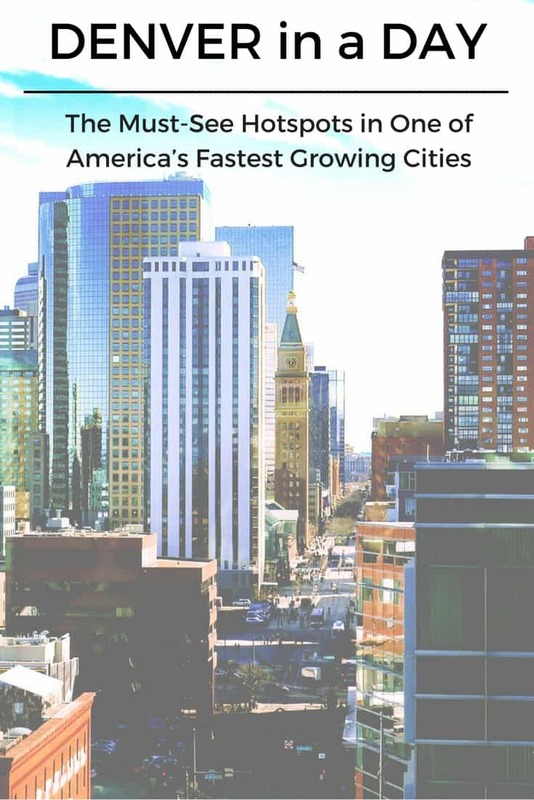 Have you been to Denver? Have something to add to Lauren’s day? Do tell! I have heard so many great things about Denver. My first item on the list is always to find the local eateries. We flew into Denver this winter and wish we could have seen more than the airport. It has been 20 years since I have been to that city. 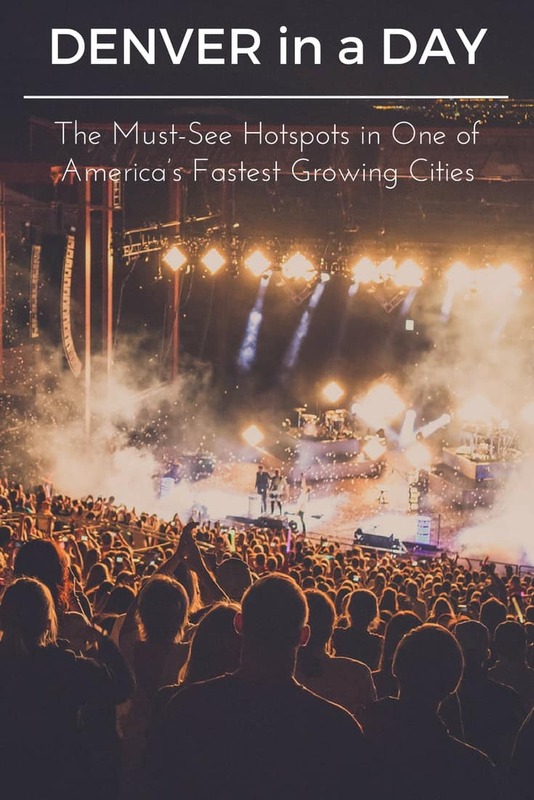 I wouldn’t mind checking out some sort of concert the while visiting Denver. These are some good suggestions! I think I’d have a lot of fun there. I’ve never been but I appreciate the recommendations for if I ever do. I’ve never been to Denver. Nevertheless these places all seem like a nice place to visit and eat. I have never been to Denver and have always wanted to go, it’s on my domestic travel bucket list. It’s always helpful to have tip from someone who knows the area. Denver is such a great city! I’ve been there a couple of times, and it’s always fun. I’m bookmarking this for future reference. I would love to go to Denver! It looks like such a fun place to check out! 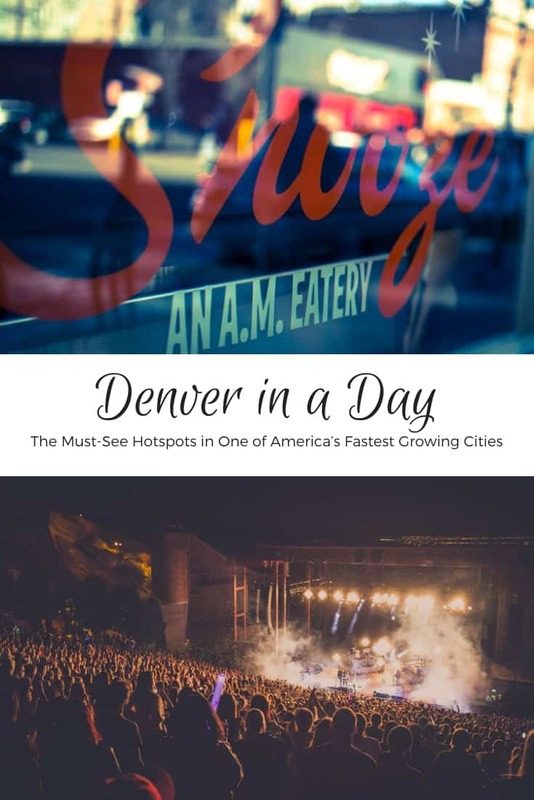 This post really couldn’t have come at a better time since we’re just days from visiting Denver for the first time! I have my eye on a few of those restaurants, so I hope we can snag a place in line to try a few dishes. YUM! Denver is one of my favorite places. All of Colorado is! If I were ever to move from Kansas that would be on the top of my list of places to relocate to! My husband and I were there for one of his work trips and thsi would’ve been so handy! WOuld’ve loved to do this in one day since that’s basically all we had! Thanks so much for doing this, I’ll save this for a future trip! 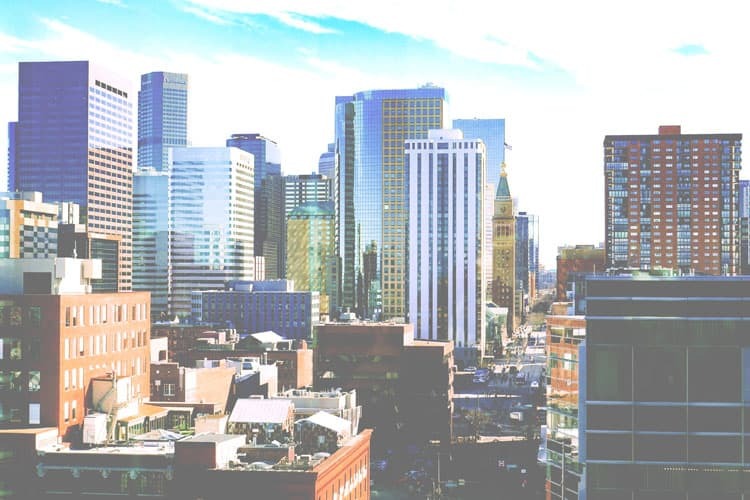 I would love to visit Denver someday. Thanks for the suggestions.